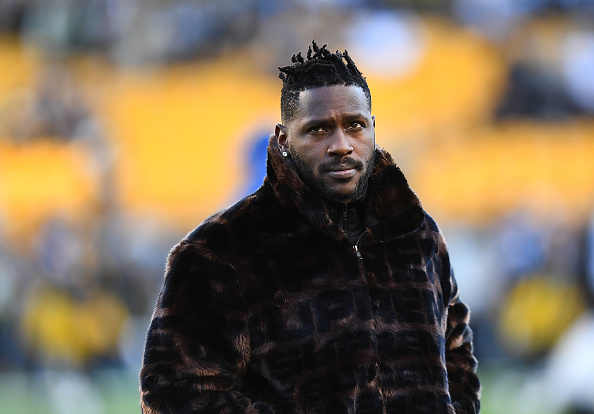 Pittsburgh Steelers wide receiver Antonio Brown has reportedly been found guilty in his reckless driving case, stemming from an incident in November when cops say Brown's Porsche was going over 100 MPH through a 45 MPH zone in Ross Township, Pennsylvania. According to TMZ Sports, police were actually responding to a bank robbery on November 8 when they saw AB's black Porsche speeding away from nearby the scene of the crime. This is the least of Brown's legal troubles at the moment. Last month, the 30-year old Pro Bowler was accused of pushing the mother of his daughter to the ground after she refused to leave his property over reimbursement for the daughter's hair appointment, according to a Hollywood police report (H/T ESPN).